Scranton MMA is thrilled to announce our newest program, Student Referral Awards! The student base of Scranton MMA has been amazing at spreading the word about the best academy in northeast PA and it’s time you are rewarded for your efforts. 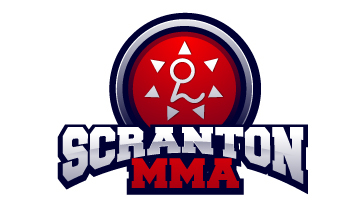 Starting March 1 2011, Scranton MMA will now award you the student with a $50 referral bonus for every friend, family member, or complete stranger that you bring to Scranton MMA to sign up for a Scranton MMA membership! This is our small way of saying “thank you” to you for your valued support of your academy. How does the Student Referral Awards Program work? Simple. Whenever you have a person that wishes to tour the academy and try out their free week simply provide them with a Scranton MMA Referral card with your name on it and instruct them to the card in at the reception office. Easy! When they sign up for their membership you earn $50! Bam! Your Student Referral Awards cards can be obtained in a number of ways. (1) At the reception window at Scranton MMA (2) as a download from Scrantonmma.com and (3) as a download from the Scranton MMA fanpage on Facebook! As an added bonus EVERY student that refers 5 or more memberships to Scranton MMA between March 1, 2011 and April 31, 2001 will instantly earn the reward of attending the upcoming Royce Gracie Promotional Seminar on May 2, 2011 for FREE!